Philosophy for Children, which is sometimes abbreviated to P4C, aims to encourage pupils and teachers to think critically, caringly, creatively and collaboratively. 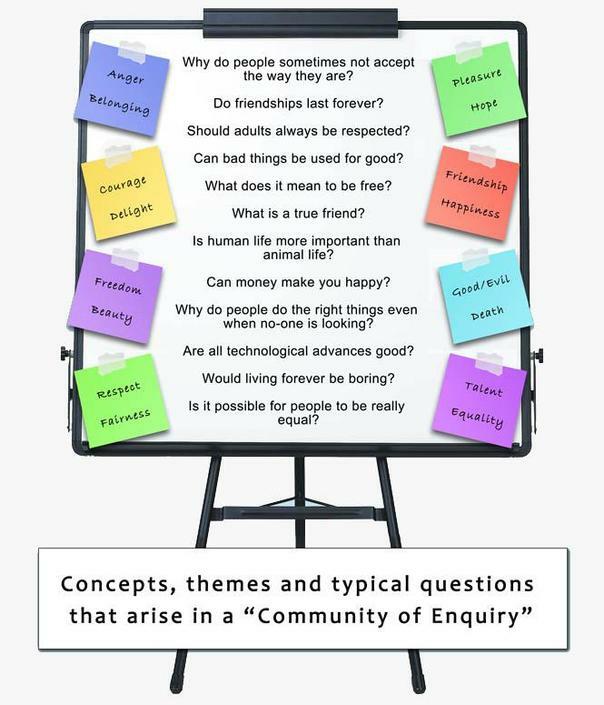 It helps teachers to build a 'community of enquiry' where participants create and enquire into their own questions, and 'learn how to learn' in the process. P4C is a powerful strategy which develops pupils' talking and listening skills and contributes to the delivery of the PDMU (Personal Development and Mutual Understanding) element of the Northern Ireland Curriculum. All teachers in Ballymena Primary have achieved Level One accreditation in P4C by SAPERE (The Society for the Advancement of Philosophical Enquiry and Reflection in Education) and three members of the Thinking Skills Team have been trained at Level 2 standard. A detailed Philosophy for Children framework sets out the key concepts and skills to be covered in each year group. Research evidence indicates that consistent use of P4C produces significant improvements in IQ, raises pupils' self esteem and confidence, makes pupils more aware of their own and others' feelings, and leads to improved classroom behaviour.